Born on December 30, 1958 in Zagreb, Croatia. He has completed master degree in the University of social pedagogy in Zagreb. Mr. Sedlar has joined SOS Children’s Villages International in 1992 and has worked on various projects as a directly responsible person for overall start up and development of programs as well as the development of board of directors, cooperation with the governments of the countries of his work in establishing the needed structures and support the organizational development in order to support the countries for further self-sustainability. Speaks Croatian and English language, married since 1981, father of one son, Croatian by nationality. In 2009 is awarded with the "Medal of Altinsarin - The highest State Reward of the Ministry of Education" from the Republic of Kazakhstan. • 7 year of extensive experience in Economic Policy Development through Public Private Dialogue. • 12 years of professional experience with development and commercial organizations. • Specialized knowledge in Small and Medium Enterprise development in urban and rural areas. • Professional relations with government officials, business networks and mass media. • Knowledge of current political and economical developments in the KR. • Ability to execute comprehensive projects from concept to full operational status. • Proven communication skills and the ability to negotiate with diverse stakeholders. • Highly motivated and result-oriented professional. Lyman High School, Longwood, FL, USA, 1996-97. 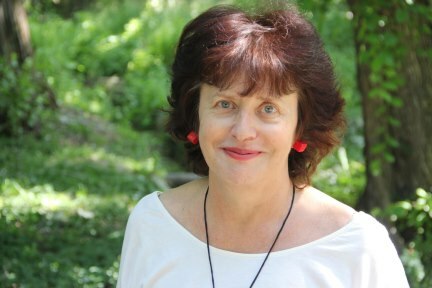 Natalia Slastnikova is the Director of Leadership Development at the American University of Central Asia. Natalia served as the Vice President of Institutional Development and founded the AUCA Alumni Association, the Annual Fund, the Parent Fund and the Advisory Board for BA Program at AUCA. In 2006 she founded the Career Center and the Continuing Education Center of AUCA. In 2012 within the Continuing Education Center she developed and launched Children’s Academy of Growth aimed to develop language, communication, technical, business, and creative skills of children. She designs, plans and coordinates educational programs for life-long learners and comprehensive career services for AUCA students. She develops and delivers courses and trainings on Leadership, Management, Effective Presentation and Public Speaking, Teambuilding, Career Planning and Development. Azamat Akeleev is the founding director of “Promotank” LLC, a consulting company, which provides market research, economic and business analysis, promotional campaigns and communication products. Promotank’s clients include local private sector entities as well as international organizations and foundations such as Bosch Group, GIZ, Eurasia Foundation, JICA and USAID. Mr. Akeleev also chairs the Public Supervisory Board at the Ministry of Finance of the Kyrgyz Republic and is an active member of the Bishkek Business Club. Prior to starting his own business, Mr. Akeleev taught marketing, branding and strategy at the American University in Central Asia (AUCA), while simultaneously chairing and redesigning its MBA program. He continues to be an assistant professor at AUCA. In 2001-2004 Mr. Akeleev served as a regional marketing coordinator for the USAID/Pragma enterprise development project working in all five countries of Central Asia.